Which Cibecs pricing plan is right for you? 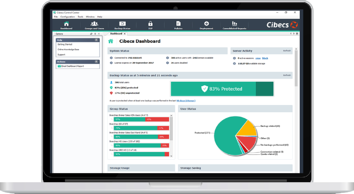 Cibecs is endpoint backup, data protectionand security solution, specifically designed for business environments. Cibecs has been successfully implemented in companies with thousands of users- but is equally effective as a Small Business data backup software solution. Our scalable pricing options with volume discounts for customers with a large user base provide a cost-effective solution to data backup, data management and risk reduction.